The SoundEar 3 Noise Processor mounts on the wall to monitor and record the sound levels. The digital display usually shows the current sound level, but this can be switched off or even set to display the time. The SE3-320 Noise Processor is part of the SoundEar 3 range of products. It is technically identical to the SoundEar 3, but without the large green/yellow/red light-up display. Its purpose is to continuously monitor the sound levels, recording the sound level for download to a computer via memory stick. It can also be linked directly into an existing process control system via the 4-20mA Current Loop or the DC output. The SE3-320 Noise Processor has a large internal memory, to which it can store various sound level parameters every second. It can store the Fast or Slow sound level with "A" or "C" frequency weighting. You can select whether it stores all of these parameters or just the ones you need. When you plug a memory stick in the SE3-320 will automatically transfer the measurements on to it. You then plug the memory stick into your computer to load the measurements into the SoundEar software. The Noise Processor's internal memory is large enough for more than 18 months storage without download - although of course we would recommend regular download to avoid data loss. The SE3-320 can be linked in to existing monitoring and process control systems, or you can develop your own monitoring system, using either the DC output or Current Loop output. This is a standard method of electrical signalling, used by many process control systems, with the benefit that the signal is not degraded by voltage drops in the wiring. For more information please visit the Outputs page. The DC Output from the SoundEar 3 Noise Processor provides the measured sound level over a range of 0 to 10V DC, which can be measured using a basic A-D converter. For more information please visit the Outputs page. Turning the display off or displaying the time can be useful if you don't want to show the sound level in decibels. The SoundEar 3 Noise Processor (order code SE3-320) is for long term noise monitoring in areas where you don't need the clear noise warning that is provided by the other SoundEar Noise Warning Signs. When downloaded to a computer you can easily identify the noisy times of day and the limits reached. The weatherproof version, order code SE3-320W, is protected against the weather and dust, rated to IP65. It can be mounted to a wall outside with four screws. A 10m (32 ft) power cable is included, to connect to the indoor power adapter that is also included. More information on the Outdoor Noise Processor page. Many process control systems can accept analog signals meeting the 4-20mA current loop standard. The standard SoundEar 3-320 (order code SE3-320) has two 4-20mA current loop outputs, which can be configured using the software included. There is more information on the Outputs information tab. The SoundEar 3-320 Noise Processor has two DC outputs that can be used for integration with your own applications. Typically connected to an A/D converter, the sound levels can be monitoring continuously. For more information about the DC voltage output, please visit the Outputs tab. 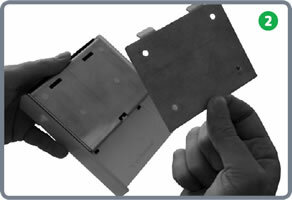 The SoundEar 3-320 is usually wall mounted, using the mounting plate and security screw that are included. 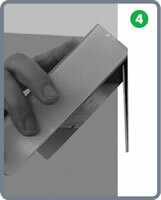 As long as there is a power outlet nearby and a surface that can accept four mounting screws, there are few limitations on the physical location of the device. The most important consideration is that it is in the most suitable position to measure the noise levels. An optional microphone extension cable can be used to mount the microphone away from the unit itself. The SE3-320 comes complete with a power adapter. 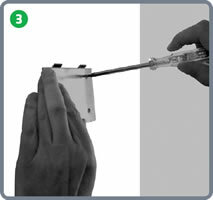 This provides the safe low voltage that the noise sign requires. The SoundEar 3-320 Noise Processor comes complete with software to configure, download and display the results. Sound level, frequency weighting, etc. The software is included with the SoundEar 3-320 at no extra charge. It is designed for all recent versions of Windows. It communicates with the noise processor via the computer's USB port. Downloads and configuration can be carried out via a memory stick, so you don't have to take the processor down from the wall each time. With a SoundEar 3-320 connected to the computer's USB port, the software can show the sound levels in real time. To download historic measurements it is not necessary to connect the processor to the computer. You can plug a standard USB stick into the sign and it will automatically transfer all its measurements. With the memory stick connected to the computer the SoundEar software will now download the measurements. In the image above you can see the sound levels graphed over a 24 hour period. Using the software you can set the output from the sign to be either a DC level (0 to 10V) or current loop (4-20mA) for integrating into other logging and monitoring systems. You can also set the minimum and maximum sound levels that are then mapped onto this DC or current loop output. For more information, please visit the Outputs tab. The SoundEar 3-320 stores noise measurements in its internal memory. You can configure it to store a minimal amount of information for longer, or to store everything for a shorter period of time. For example, storing the "A" Weighted Slow Sound Level every second will fill the internal memory in just over 90 days. Not enough? 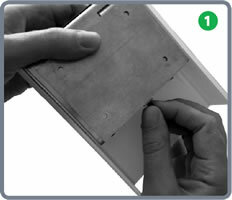 You can configure the sign to store the measurements directly to a memory stick, giving almost limitless storage times. If you have a Sound Level Calibrator and need to ensure the accurate operation of the SoundEar 3-320 then the software deals with this. Connect the SoundEar 3-320 Noise Processor to the software, connect a microphone extension cable and fit the calibrator to the microphone. The software Microphone Calibration option will then deal with the process of checking and adjusting. 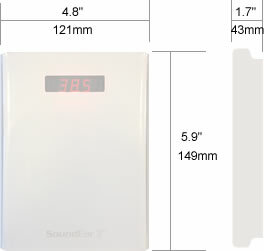 The SoundEar 3 Noise Processor comes with two powering options: USB (5V) or 24VDC. When using the current loop or DC output the unit must be powered by 24VDC, it will not work with the USB power option. For convenience, the 24VDC power connections are on the same connector as the current loop outputs and ground. The Noise Processor includes standard 4-20mA Current Loop outputs. These provide a signal that does not degrade due to resistance, allowing for longer cable runs, limited by the ability to drive the current. The Noise Processor also includes DC Voltage Outputs that are proportional to the measured sound level. They are ideal for level recorders and input to data logging systems. There are two current loop / DC outputs on the SE3-320, so you can select two different parameters to monitor. Both outputs are set to the same measurement range, but you can select different parameters, as described below. The overall measurement range of the Noise Processor is 30dB to 120dB. You can process this whole range over the current loop or DC voltage output, or you can select the range of interest. The SE3-320-x Multi Packs include all these items for each SoundEar 3-320. They also include an NM102 Hand Held Sound Level Meter, which can be used for making quick measurements of sound levels in the surrounding area, and can be helpful when setting the noise processor up. With data logging and 4-20mA current loop / DC output. Includes microphone, power adapter and software. This package includes five SoundEar 3-320 processors and a hand-held sound level meter. 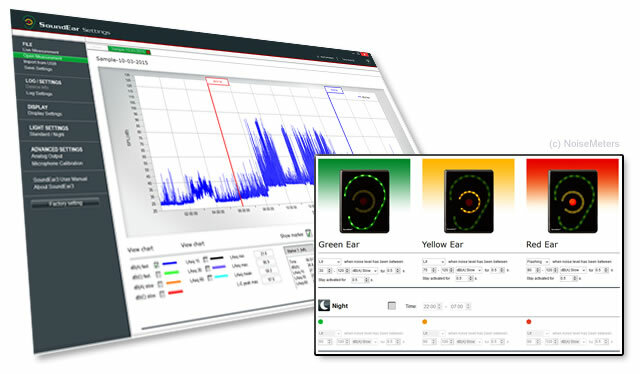 This discounted package includes ten SoundEar 3-320 processors and a hand-held sound level meter. Dimensions 121 x 149 x 43 mm, 4.8" x 5.9" x 1.7"